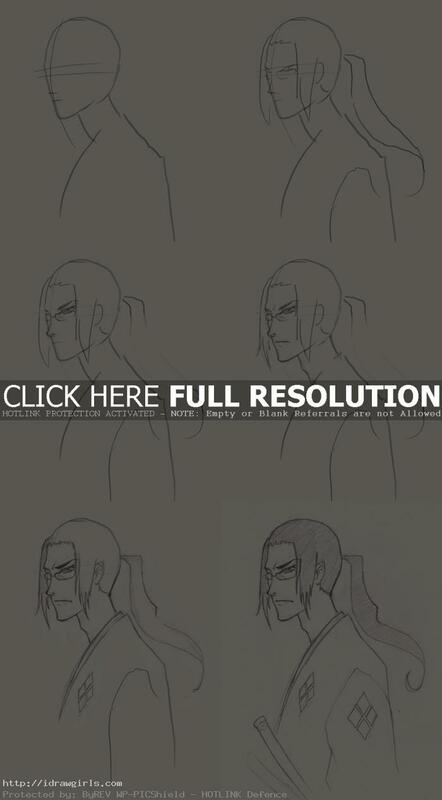 How to draw Anime character Jin from Samurai Champloo. Learn to draw a samurai character Jin with step by step tutorial along with easy to follow instruction. This tutorial is a result from watching too many episodes of Samurai Champloo over the weekend, it was awesome. Samurai Champloo art style and direction is on the level that rarely seen in anime. It is amazing. 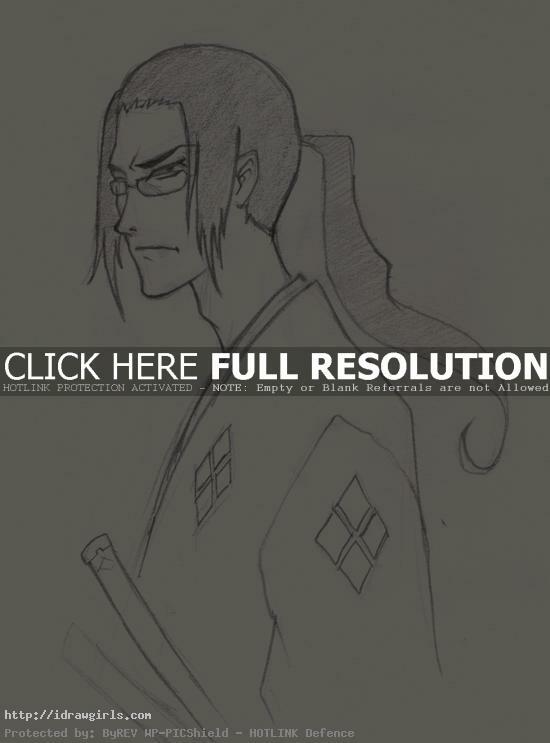 In this tutorial, you will learn to draw a Samurai Champloo character Anime style drawing. I will first break down the drawing into simple geometry shape so that it will be easy to draw over. Also it will be easy to follow and understand the thought behind the drawing. Before I begin to draw something new, I usually observe the subject and try to break it down into a simplify version. I will always make the initial sketch simple, that is the key to construct a good drawing. Though it might look simple but the most important part is measurement the position between element such as space from left eye to nose or from nose to lips. Positioning initial pieces within the drawing to make it as accurate as possible will make your drawing more solid. Once you have the shape and form you need to take the drawing to the next step, it will be easier to add detail. It is a lot easier to draw once you carefully study the over all shape of a character you are trying to draw. Here is a final drawing of Jin from Samurai Champloo. Below are step by step tutorial how to draw Jin. Step one, I usually make the initial sketch very simple. The most important part is accuracy of the position between element such as space from left eye to nose or from nose to lips. Your drawing more solid if you can measure well with your eyes. The more you train your eyes to observe object, the better you will get at measuring for drawing. Once all the shapes and forms are in their own positions, you can then take the drawing to the next step. It will be easier to add detail after that. It is a lot easier to draw once you carefully study the over all shape of a character you are trying to draw.